Nel corso degli anni, sotto la guida di Matteo Maletti, UKI si arricchisce di ulteriori brand operanti nello stesso settore e dà vita a nuovi spin-off grazie a interessanti incontri con player provenienti dal mondo dell’arte del design del fashion. Oggi quindi troviamo UKI PROFESSIONAL HAIRDRESSER’ACCESORIES – UKI PROFESSIONAL SPA&BEAUTY ACCESSORIES E VIVI BEAUTY ACCESSORIES. UKI è presente in 101 paesi nel mondo con una rete capillare di distributori. Mauro Burani , active artist for over thirty years in the field of fashion and design has created for Uki International Pack in love , a stylish trunk with brush and plate limited edition. The project included a development graph ad hoc , as well as to emphasize the product , has brought out the poetry , the freshness and uniqueness of the design of Mauro Burani . The trunk , the plate and the brush are all on the same stretch delicate , young and romantic . Pack in love is ideal for those who want a touch of femininity in the accessories , but at the same time wants to devote to the care of their hair with the use of professional products. 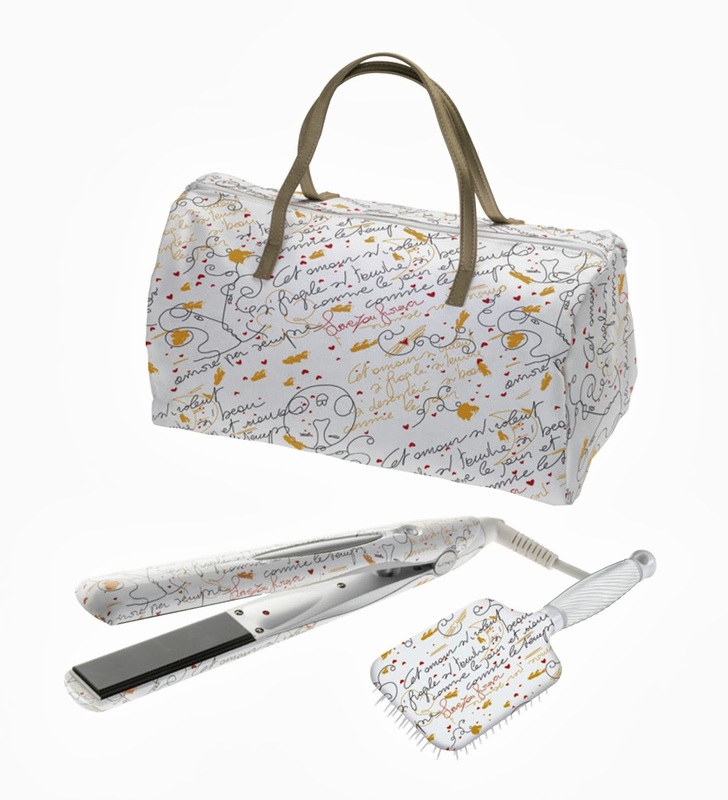 - A brush BR IN LOVE , equipped with a soft grip . UKI INTERNATIONAL is a company Maletti Group - the most important group in the world Dell'HAIRSTYLING and beauty - that deals with the production of trucks , and electrical and non- professional equipment for salons , spas and beauty centers . UKI since its inception in 1999 has stood out for its attention to design, color and fashion combined with the quality gained in its history by the same Maletti . Over the years , under the leadership of Matthew Maletti , UKI is enriched with additional brands in the same sector and gives birth to new spin-off thanks to interesting encounters with players from the art world of fashion design . So today we find UKI PROFESSIONAL HAIRDRESSER'ACCESORIES - UKI PROFESSIONAL SPA & BEAUTY ACCESSORIES ACCESSORIES BEAUTY AND LIVE . UKI is present in 101 countries worldwide with an extensive network of distributors. Ma va??? LO VOGLIOOOOO!!!! Troppo bello e poi la piastra mi serve! The straitner looks so cool with the print on..
Mi piace tantissimo, carinissima la fantastia! Oh caspiterina...era meglio non vederla questa creaturina...troppo bella come idea!!! Un po' caro per le mie tasche ma decisamente bello! Ma che bello.. Davvero accattivante!! Lo voglioo *-* Grazie delle info!!!!! ♥ NEW POST on Discovering trend: Little Princess! Che carino. Lo voglio anch'io! yet another great post! I so like the bags I must say. Can't wait to see more of your posts! Ma che belloooooo!!! Lo voglio anch'io!!! Oltretutto la piastra sembra anche molto buona!